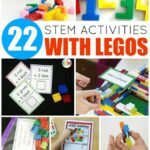 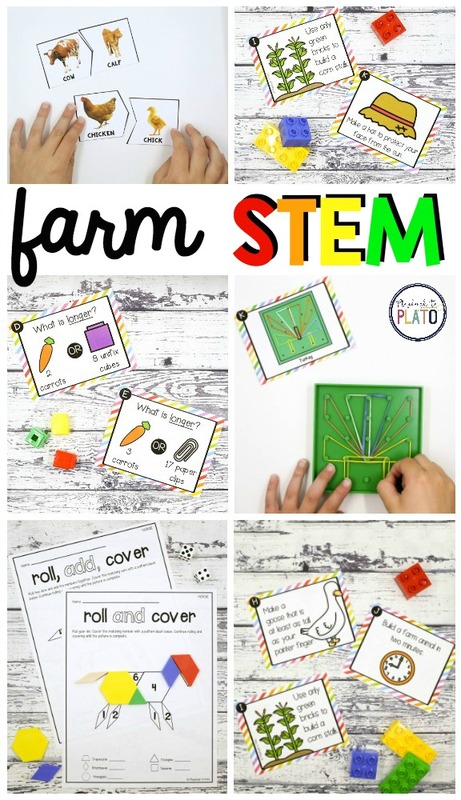 Whether you’re planning a farm-themed unit or are in need of motivating ways to teach kids important science, technology, engineering and math (STEM) skills, this activity pack is sure to do the trick. 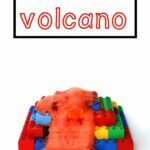 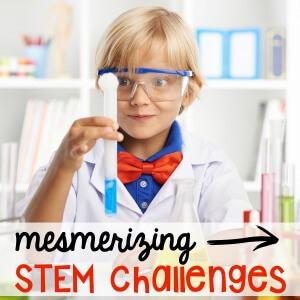 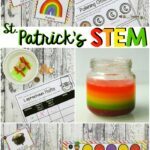 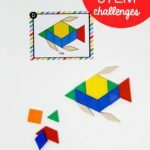 The 6 playful challenges are perfect to use in STEM centers, math stations or as early finisher tasks. 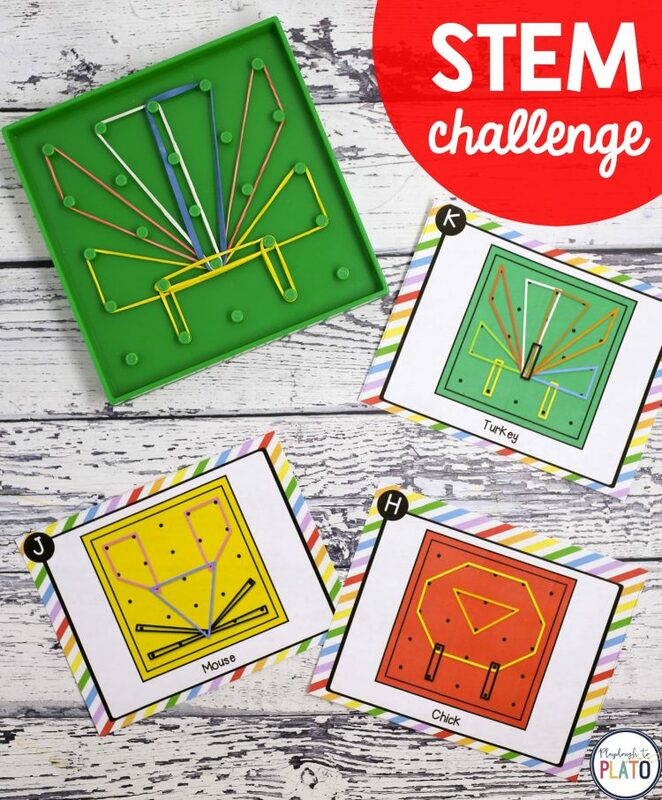 Snag your set in our shop or on Teachers Pay Teachers! 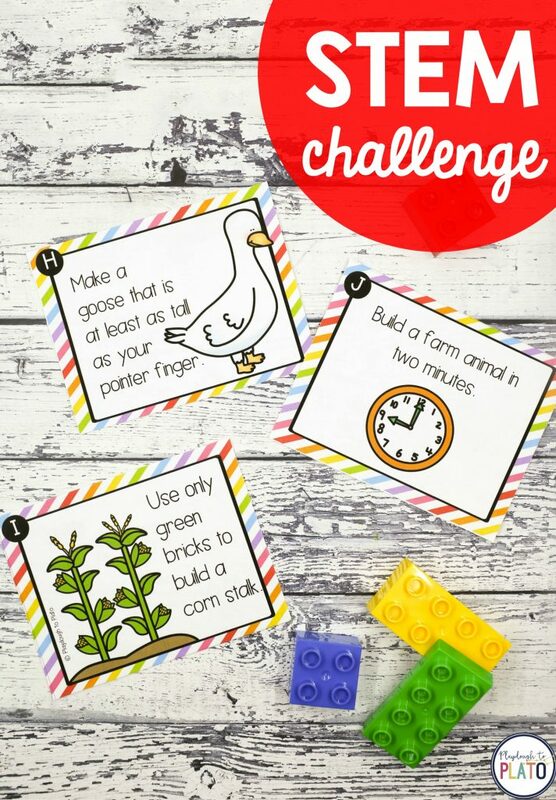 First up, dust off your geoboards and pull out a handful of rubber bands so kids can solve 15 farm-themed challenges. 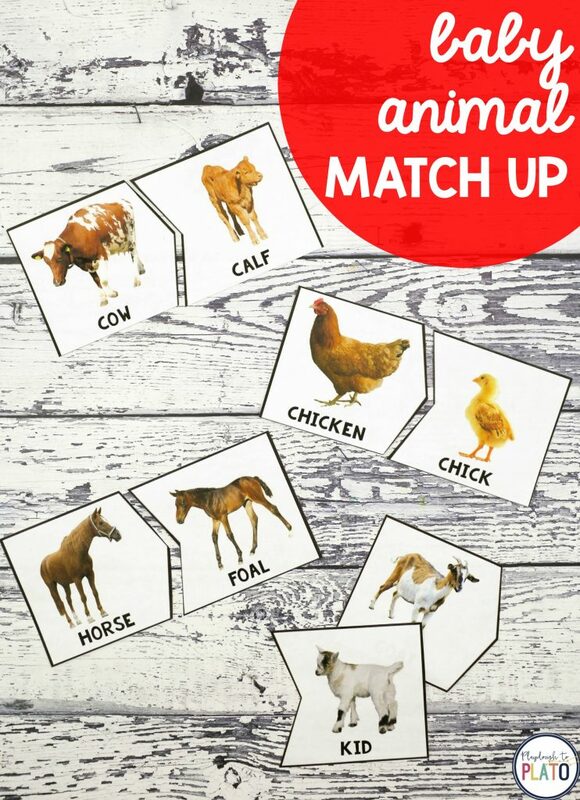 Then learn the names of baby and grown up animals with a set of engaging puzzles. 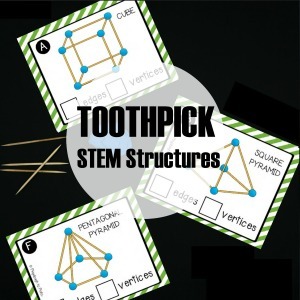 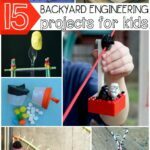 Stretch kids’ design, engineering, problem solving and teamwork skills with 15 building challenges. 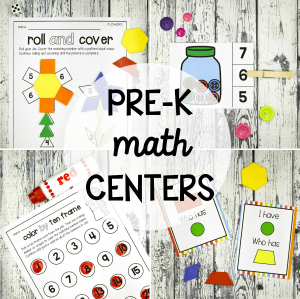 Pull out your pattern block mats for some math practice. 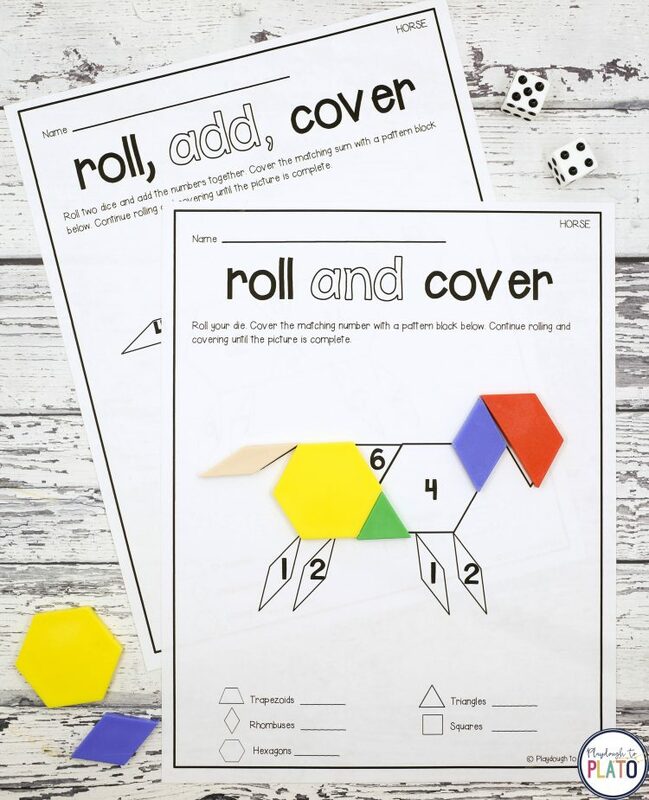 There are two versions: one practicing numbers and a second for addition. 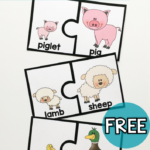 It is so easy to differentiate for a variety of learners! 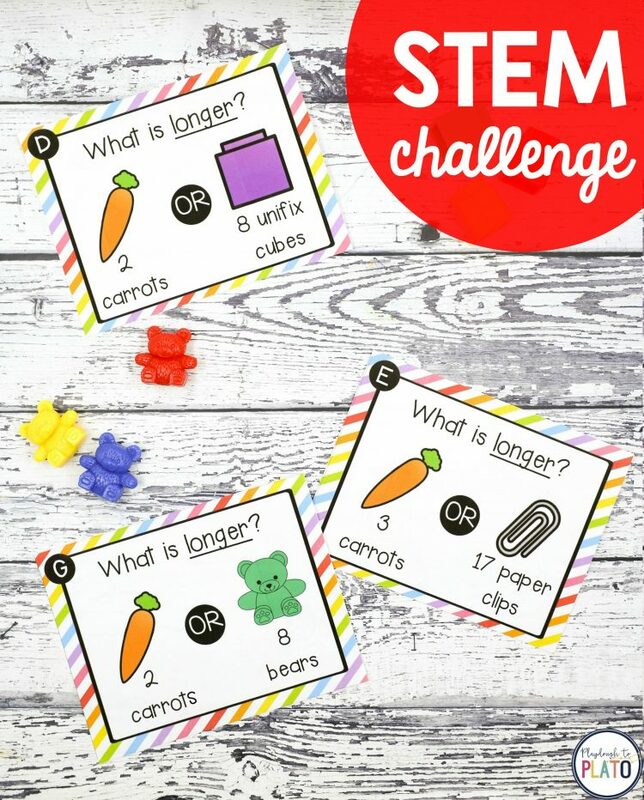 And dive into linear measurement by comparing the length of baby carrots and common school supplies like paper clips and unifix cubes. 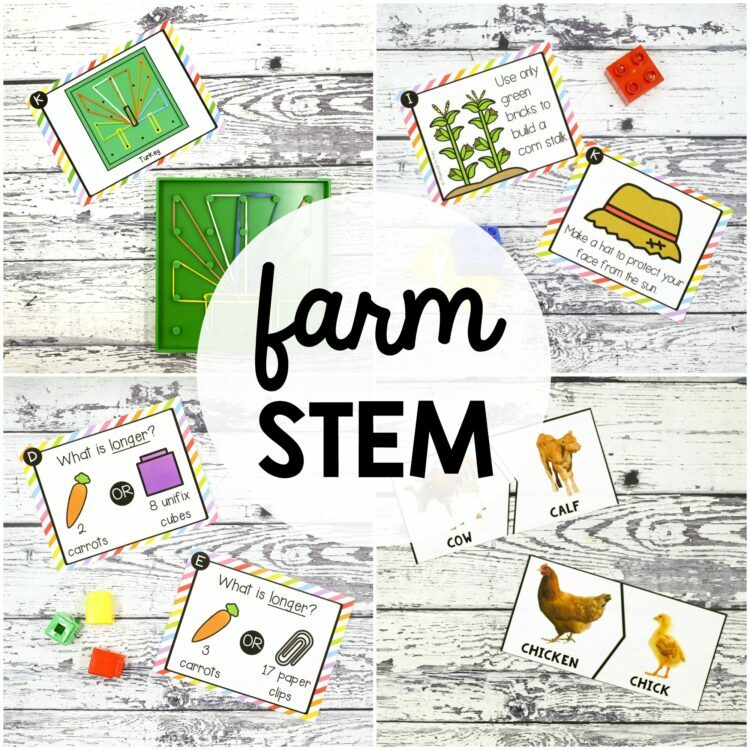 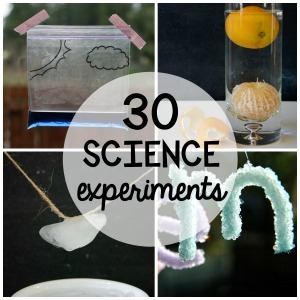 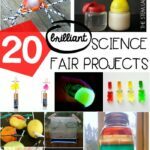 There are six farm-themed STEM challenges in all! 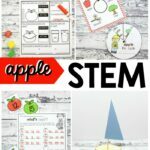 Snag your motivating pack in our shop or on Teachers Pay Teachers!